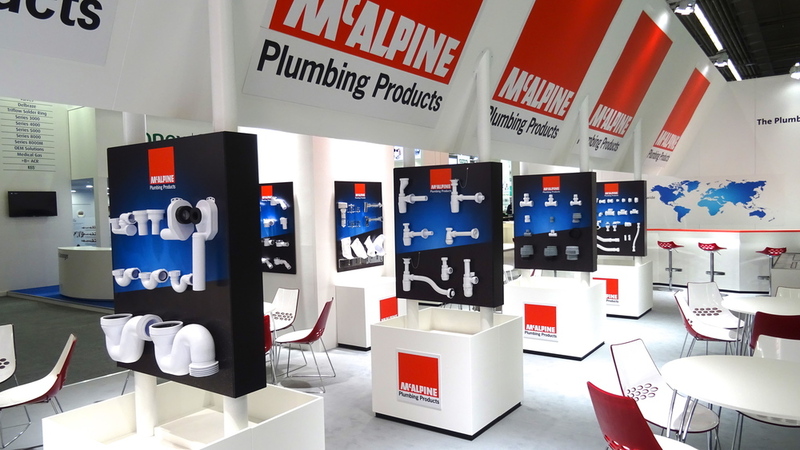 ISH is the world’s leading Trade Fair for The Bathroom, Building Services, Energy, Air Conditioning Technology and Renewable Energy industries and is the world’s biggest exhibition for the combination of water and energy. 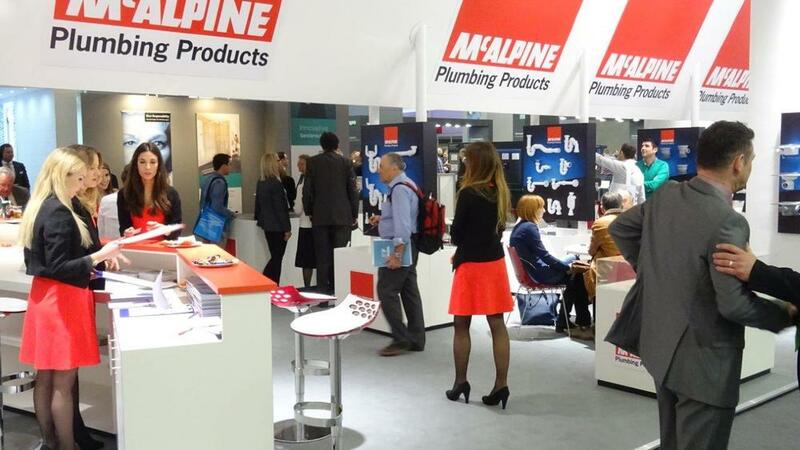 Held every other year in Frankfurt, Germany, ISH features displays ranging from sustainable sanitation solutions and innovative bathroom design to energy efficient heating technologies, cooling and ventilation technology. 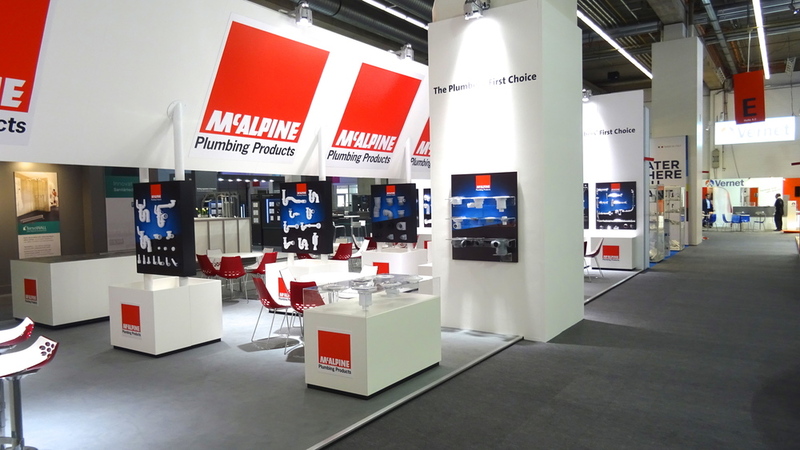 McAlpine & Co., the Glasgow-based market leader for plastic plumbing products took part in the 2015 event with a larger stand space than at previous events and Shaw & Underwood was tasked with handling the project, which was to be designed and manufactured in the UK, prior to being installed in Germany. 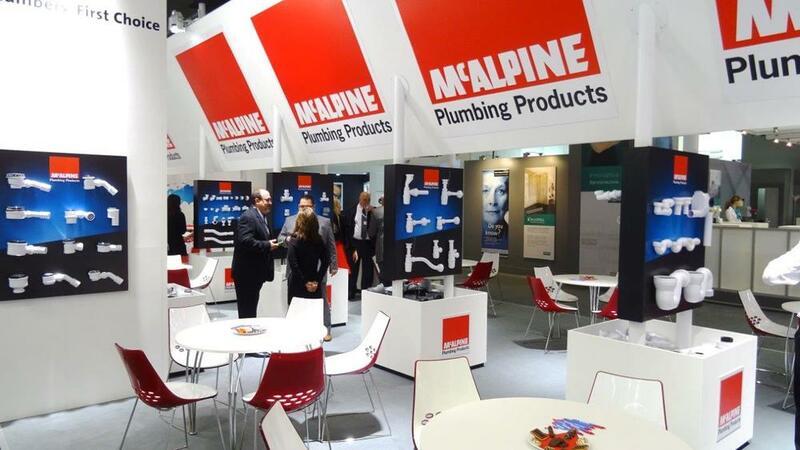 Shaw & Underwood had managed trade show exhibitions for McAlpine in the UK and Spain and the ISH 2015 stand project was to build on the successes of previous years. 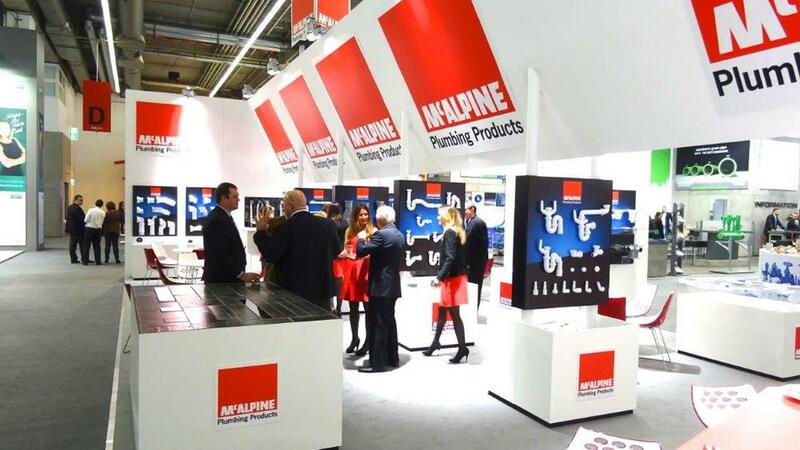 Following a briefing that took place in summer 2014, Shaw & Underwood was made responsible for the design, procurement and manufacture of the stand, tasked with all on-site contractor liaison, supervision and collation of literature assets from the global McAlpine distributor network, booking of hospitality staff and management of on-stand catering. In addition, Shaw & Underwood was responsible for the organisation of an on-stand party on the second evening of the event. 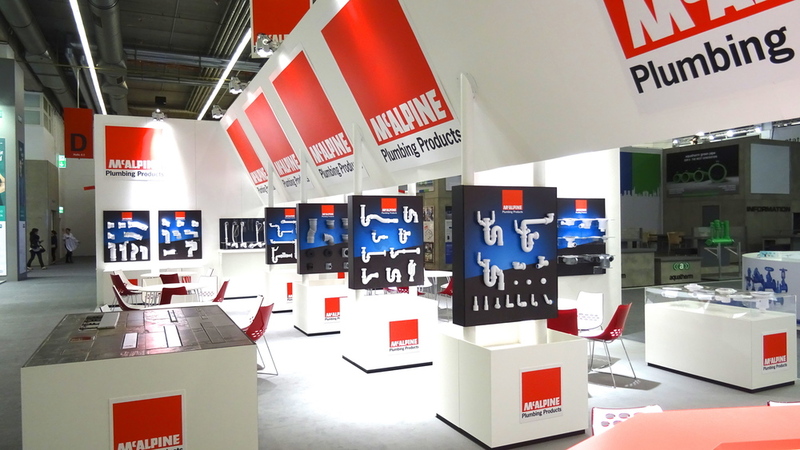 Shaw & Underwood offers a turnkey project management service for major exhibition contracts and so when representatives from the world-wide McAlpine distributor network arrived in Frankfurt for the opening of the exhibition everything was in place; displays were ready, stand hostesses briefed, samples and literature in place, the coffee machine was on and chilled beer was in the fridge! ISH 2015 featured over 2,400 exhibitors, including all market leaders, who used the exhibition to launch their latest products, technologies and solutions onto the world market and early indications suggest that this years’ event was very successful indeed. 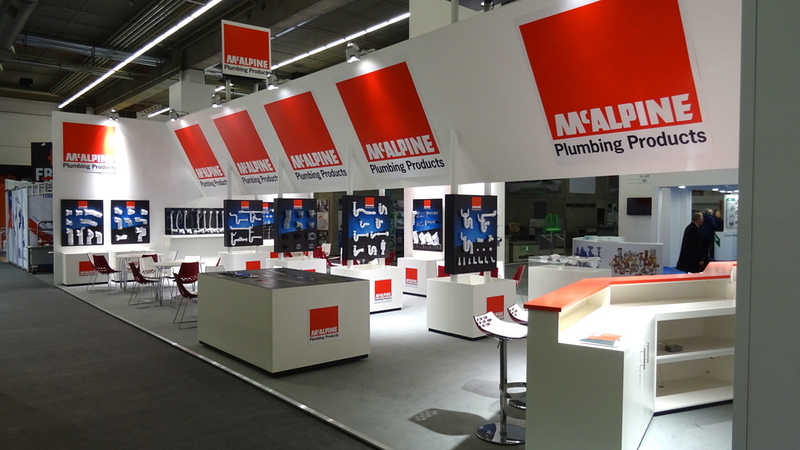 For its part, the team at McAlpine reported five days of hard work, meeting international trade visitors from around the globe making and reinforcing essential business contacts at the worlds on a stand regarded as ‘the best ever’.